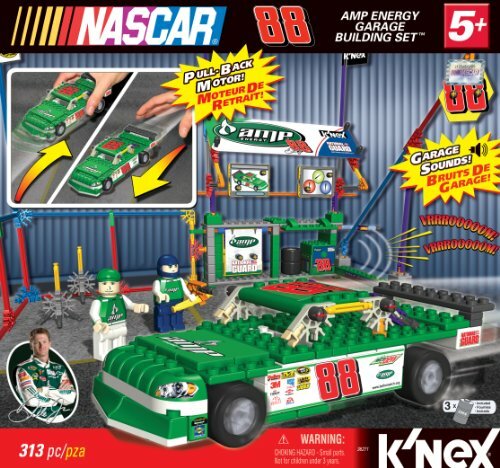 Delight your young NASCAR® fan with this K'NEX® Dale Earnhardt, Jr. AMP Energy™ garage playset. With over 300 parts and two K'NEXmen®, it lets you build a garage and a spring motor-powered race car. The included sound module makes real-life sounds.